regarded orthopaedic surgeons in Brisbane. sporting injuries, including inpatient and outpatient rehabilitation. sports teams and school and senior levels. 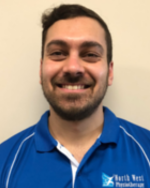 Hi recent work has been as the head physiotherapist at Mitchelton Football Club.